No trace of the former community is left. 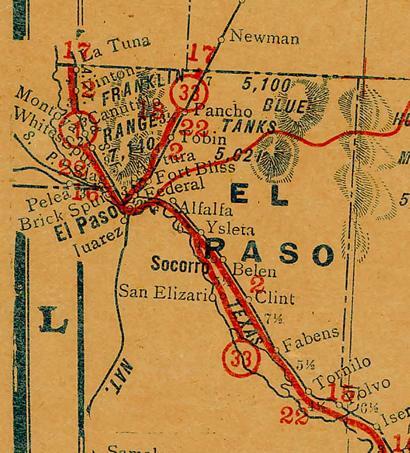 As shown on this early map, La Tuna was once a stand-alone community. It is now included in the population of �Greater� Anthony. 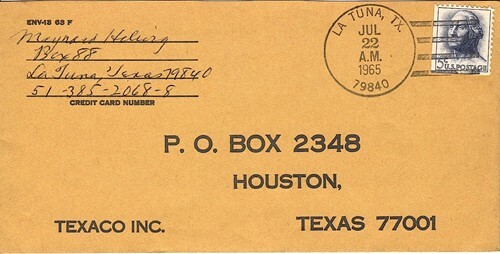 The community history is hard to come by, but the name La Tuna is more closely associated with the Federal Prison here. Opened in 1932, it was built to house prisoners from all over the Southwestern U.S. A minimum-security prison �camp �was added in the late 1970s. The prison, being a Federal facility also functioned as a post office as illustrated in the rare postal cover (above) from the John Germann Collection.